This George Orwell short biography contains the most important facts in short. Read the full biography here. George Orwell lived an interesting life. However, it ended way too short with the famous author dying in 1950 at the age of 46 after a years-long battle with tuberculosis. He wrote, “Nineteen Eighty-Four,” while suffering through some of the most trying moments of that disease. Although “Animal Farm” was published two years before his tuberculosis diagnosis, it is probable that he had the disease at that time too. Eric Arthur Blair was born in 1903 in present-day India, but he spent most of his life in England. Later trips to present-day Myanmar, France and Spain played pivotal roles in his life as well. He wrote about those experiences in some of his earlier books, including a fascinating description of when he was shot in Spain. They also impacted the messages that he communicated in his two famous works. His first book, “Down and Out in Paris and London,” was published in 1933, and it also marked his first usage of his pen name. George Orwell was chosen as it sounded like a name that an Englishman could have and he loved the River Orwell, which flows through Suffolk, one of the places he lived. George Orwell married twice, the first time to Eileen O’Shaughnessy in 1936 – she died during a hysterectomy in 1945 – and the second to Sonia Brownell in 1949, just three months before his death. Although George Orwell was a prolific writer throughout his life and had seven published books prior to this point, it was “Animal Farm,” which was published in 1945, that brought him fame and enough money to create financial comfort. However, his health condition during this time likely caused him to not take much joy in his newfound wealth. Much of George Orwell’s final years were spent in Jura, an island located in Scotland’s Inner Hebrides. The George Orwell Short Biography. 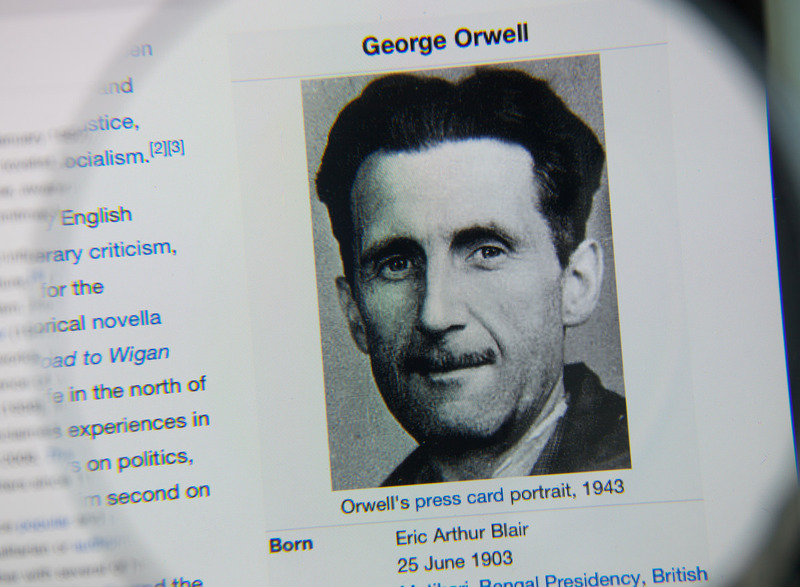 Read the George Orwell full biography here.